Home » Your Eye Health » Why is My Child’s Eye Care Important? Why is My Child’s Eye Care Important? Proper eye care is an extremely important part of a child’s long-term health. Developments during this period will effect a child for the rest of his/her life. 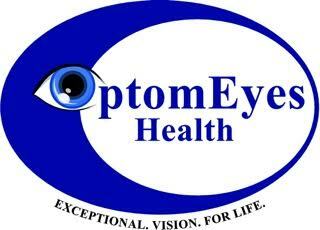 It is, therefore, extremely important that children receive attention regarding their eyesight from a very early age. This ensures that their eyesight is developing correctly and gives eye doctors the chance to diagnose and treat any problems before they worsen or lead to more serious health complications or issues learning in school. Below are the top 3 things you need to know about your child’s eye care! 1) You Need To Start Their Eye Care Early! Because many conditions may show symptoms even while your child is still an infant and become much harder to correct the longer they go untreated, it is very important to have regular eye exams for your child. Beginning from the age of 6 months, children should have comprehensive eye exams at least every year to assess any conditions that may hinder a child’s development. Many eye conditions that can cause difficulties later in life can be easily detected and treated in childhood if parents are cautious to have eye exams early and often for their children. In eyes which are healthy and properly aligned, each eye sees essentially the same image of an object being viewed, with only slight variation. Because these images are only slightly different, the brain is able to accurately and seamlessly combine these two slightly varied perspectives into a single interpreted image. However, conditions such as Strabismus and Amblyopia, which usually present themselves in childhood, cause the eyes to be misaligned, making it very difficult or impossible for the brain to interpret and combine the very different images it is getting from each eye. If not caught, this misalignment can cause the brain to adapt by completely ignoring images coming from the weaker eye, actually robbing your child of vision in that eye, and causing the loss of depth perception and other serious and possibly permanent vision disorders! Your child’s success in school relies heavily upon having proper vision. If your child can’t see the board, or has a hard time reading, because he/she gets headaches from squinting at the pages, or suffers any number of other problems children with undiagnosed vision issues may suffer, it can be much harder than it needs to be to successfully navigate the challenges of school. Our eye doctors offer eye exams that target the essential skills and abilities needed for school. In these eye exams the doctor will check for less serious conditions such as nearsightedness, farsightedness, and astigmatism. Your eye doctor also needs to check early for basic skills related to good eyesight for learning. These include eye movement skills, Peripheral awareness and Hand-eye coordination.